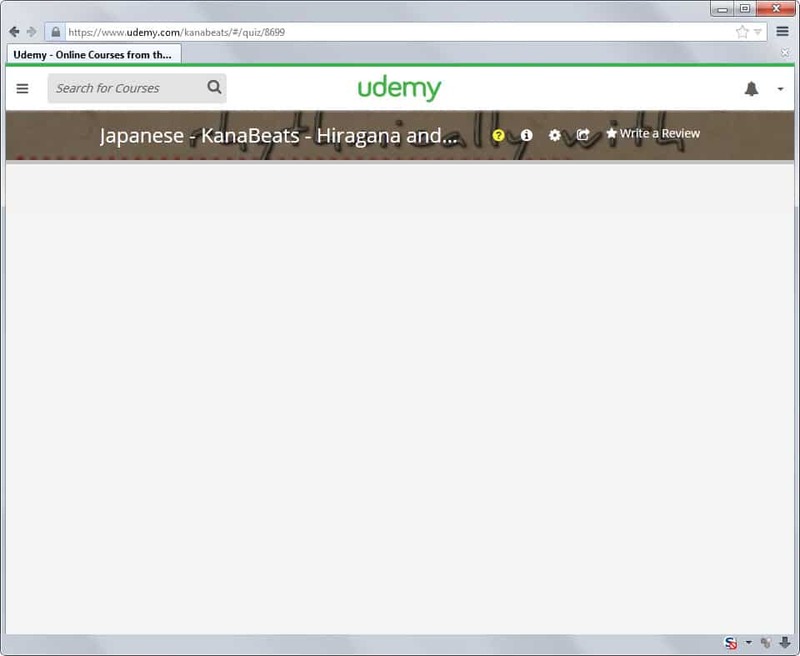 Fix Udemy videos not loading | ComTek Computer Services Inc.
As you may know, I started taking courses on the Udemy website recently. They had a black Friday sale recently where you could get hundreds of courses for $10 each. When I tried to load a course that I was about half-way through yesterday in Firefox I noticed that the course video was not loading anymore. The course itself displayed fine with its lessons and everything else worked as well. Only the video itself would not load and a blank white page was displayed instead (with the usual header at the top though). It took me a while to figure out what was going on and at that point, I had tried a couple of things to get the video to play including logging off and on again, clearing the browser cache and switching to another browser. Turns out that in my particular case, Udemy had issues. There is obviously always that possibility and it is a likely one if everything worked fine before and you did not change anything in the meantime. A blank white screen that does not display the video player controls nor the video itself. The error message "Error Loading Media: File not Found" appears on the screen. The error message "Error Loading Media: Plugin Not Found" appears on the screen. There is no universal solution to fix video playback issues on Udemy. There are however likely causes and fixes for those issues. The list of fixes below is sorted by convenience. First you find fixes that are applied in a matter of seconds and then later on fixes that require more time. Hit Ctrl-F5 on the keyboard to force a reload of the page. The Ctrl-key ensures that the disk cache is bypassed so that all contents are retrieved from Udemy directly again. This is another simple option that may work at times. Just close the browser and open it again afterwards to see if it fixes the issue. Click on the down arrow icon in the upper right corner of the screen and in the menu that opens on the edit profile icon. Select preferences on the left side. The next page displays the default video player and an option to switch to the other supported player. If you have another browser on your system, e.g. Internet Explorer on Windows if you are using Firefox or Chrome, try that browser to see if the issue is browser related. You can download a portable version of Firefox or Chrome as well and use it for these kinds of tests. If you are using the Flash video player on Udemy make sure that the plugin is up to date. You can download the latest version of Flash from Adobe. Skip to 7 if you don't want to wait. Waiting can resolve issues that you have no control over such as server issues. If none of the methods resolved your issue you may want to contact Udemy support directly. Mail them at [email protected] and include information about your browser, operating system, the course and video you encountered the issue, and screenshots of it as well.